The problem was discovered after three consumers complained of black rubber in the product, according to the U.S. Department of Agriculture. The agency said there have been no confirmed reports of adverse reactions as a result of the possible contamination. 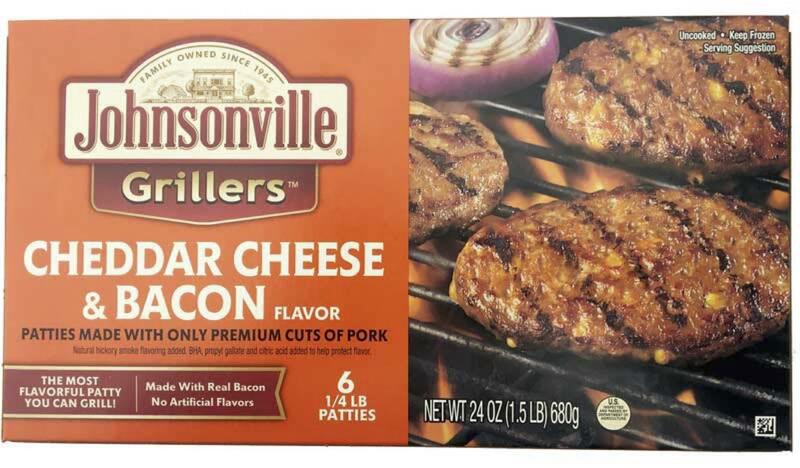 The recall involves "Johnsonville Grillers Cheddar Cheese & Bacon Flavor" 24-ounce, or 1.5 pound, products, packaged in a plastic bag in a carton, the USDA's Food Safety and Inspection Service said in a release. Produced and packaged in September and October, the affected items have the number "34225" printed on the carton. The products also have "best flavor by" dates of July 24, 2019, Aug. 13, 2019, or Aug. 14, 2019. Walmart posted the recall for the product sold at some of the retailer's stores, as did Kroger.